At the threshold of our anniversary concert season I should like to greet you sincerely and wish you many beautiful and precious artistic experiences in the Redute. With its opening concerts in October 2018 the Slovak Philharmonic is entering its seventieth year of existence. This is the age in one’s life when one takes stock of the good and bad times; cultural institutions also experience times when congenial social conditions enable them to fulfill their goals, but also times when they are forced to overcome adverse historical circumstances. The Slovak Philharmonic has experienced both over the years and it is fortunate for today’s generation that the orchestra has been able to evolve and work freely for the past three decades. Our current Principal Conductor, James Judd, took up his duties last season, and the new seating plan of the orchestra improved the sound of the ensemble within a few months. This ambitious conceptual work is a continuation of the endeavours of his predecessor, Emmanuel Villaume, and maestro Judd applies his extensive conducting spectrum to the study of different style periods, focusing in great detail on original Slovak orchestral compositions, making them one of the pillars of his interpretational profile, as shown in the magnificent performance of Suchoň’s cantata Žalm zeme podkarpatskej (Psalm of the Carpathian Land) at the closing concert of this year’s Prague Spring festival, enthusiastically received by both the public and music critics. There has been a change of Permanent Guest Conductor at the SPh this season: Petr Altrichter will replace our long-term guest and loyal supporter, Leoš Svárovský. Among the other master conductors to be welcomed on the podium of the SPh are our Slovak star Juraj Valčuha, the renowned Kazakh guest Alan Buribayev, charismatic Norwegian artist Eivind Gullberg Jensen and the Italian conductor Paolo Carignani. The prominent German conductor Jun Märkl returns to the Philharmonic with a program consisting of original French works. We welcome the pianists Elisabeth Leonskaja, the talented British artist Benjamin Grosvenor, the brilliant Spanish virtuoso Javier Perianes and the excellent Vadym Kholodenko. A performance by the technically skilled German pianist Freddy Kempf will invigorate our public, and our own pianists, Ladislav Fančovič, Jordana Palovičová, Marcel Štefko and Miki Skuta will also have the opportunity to perform. String instrument enthusiasts will undoubtedly welcome performances by the Czech violinists Ivan Ženatý and Jan Mráček, winner of Prague Spring Olga Šroubková, and the American Stephen Waarts. Cello admirers will enjoy listening to the young French soloist Camille Thomas and her fellow countrywoman Ophélie Gaillard. 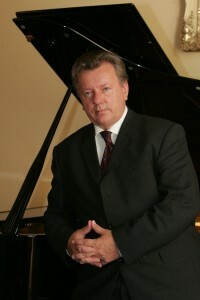 The special pre-Easter concert with Juraj Kukura reading Biblical texts, accompanied by the Slovak Philharmonic Orchestra and Choir is another project that will appeal to the public. And in addition to this will be the traditional Christmas, Old Year’s and New Year’s concerts, as well as popular film melodies. There is much to look forward to.